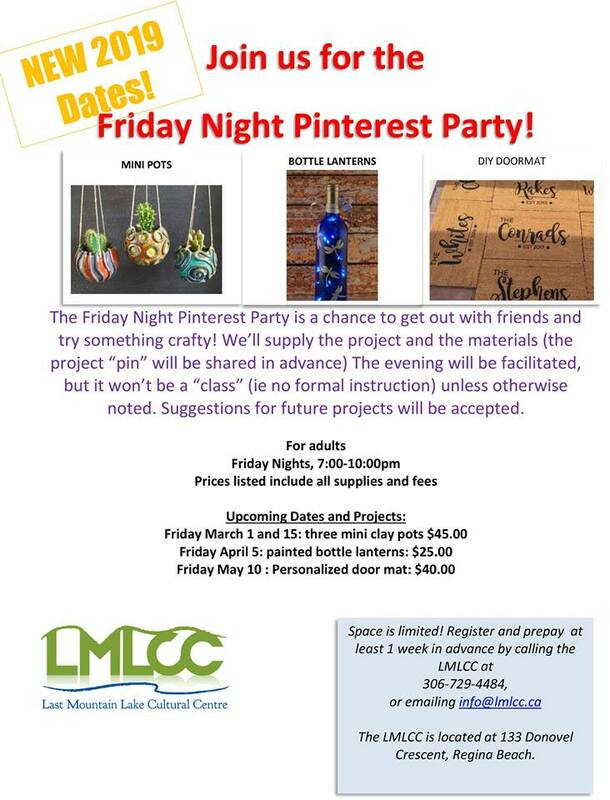 The Friday Night Pinterest Party is a chance to get out with friends and try something crafty! We’ll supply the project and the supplies (the project “pin” will be advertised in advance)! The evening will be facilitated, but it won’t be a “class” (ie no formal instruction unless an instructor name is given)…we’ll all be working on these together! Suggestions for future projects will be accepted as well. Copyright © 2018 Last Mountain Lake Cultural Centre - All Rights Reserved.